PC based EPoS systems can be utilised by almost every type of business, they are robust, reliable and have excellent performance. As a retail till, our PC EPoS systems can be a very powerful tool. No need to waste time with seperate stock managment software or software on a PC. Instead you can simply plug in a standard keyboard and mouse and control stock direct from the till as you would with any other PC based software. For larger businesses with multiple networked tills you can opt for designating a PC as a server. This allows you to make changes at your desktop PC and the EPoS will update automatically with your new data. 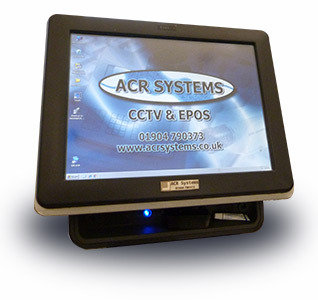 From a BASIC Cash Register to networked Touch-Screen terminals, ACR Systems can provide a package to suit your needs. We also supply ALL the information you require to be able to maintain the basic programming of them yourself.